Microsoft is busy doing hard work with the development of their own take at virtual reality with the HoloLens headset. 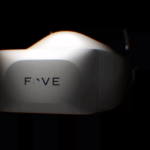 And in the near future, it can be a staple of your entertainment and gaming area. Reports from website Winbeta says that a close collaboration between Microsoft and key technical partners is being formed to work on the planning and development of future projects dedicated to take advantage of the HoloLens. According to these reports, Microsoft has already made talks with one of the key media partners for the Xbox game console. Turn 10 Studios is one of these partners reportedly involved in such planning and development stages. It is a gaming studio known for developing the well-known Forza Motorsport, which is a racing game made exclusively for the Xbox One. With the possibility of HoloLens integration to the Xbox One, Forza Motorsport can be seen to have future updates that will be bringing such VR experiences to the Xbox platform. Some key features of Windows 10 are also seen to be given focus on the VR/AR integration with the Xbox console. One of these features is Cortana, the virtual assistant that is omnipresent in the Windows 10 interface. By having the HoloLens seen as an extension of the Xbox One, users can get their voice command-activated tasks done with added flair and functionality, thanks to the enhanced user interface of the HoloLens. 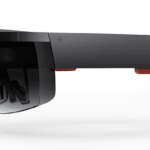 The HoloLens is the latest innovation from Microsoft in the game of virtual reality and augmented reality, and is seen by many tech evangelists as the potential direct competitor to Sony’s Project Morpheus. 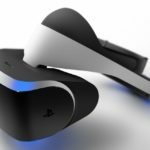 Being the same company who makes the PlayStation 4, Sony is working round the clock in developing their own virtual reality companion device for the ever-popular PlayStation gaming platform. But unlike Sony, Microsoft hasn’t confirmed their concrete plan for the HoloLens yet being a companion device to the Xbox One, although this is seen as having a high probability of happening anytime soon. The future of entertainment and gaming on the Xbox One is getting more exciting with this development. 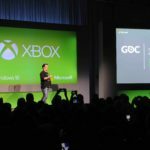 Soon enough, fans of the Xbox platform can get their bite on the promising, immersive virtual reality and augmented reality experiences.